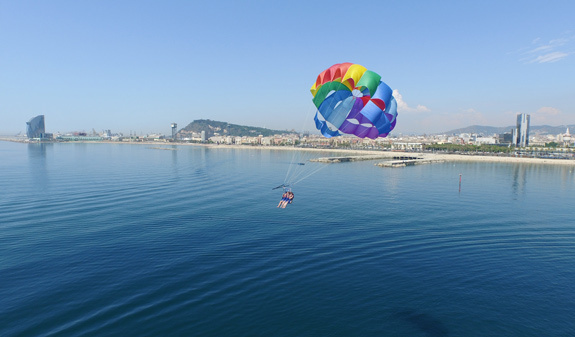 Part parachute ride, part water sport, parasailing propels you into the air as you are pulled along by a powerful craft to enjoy views of Barcelona in a different and completely safe way. 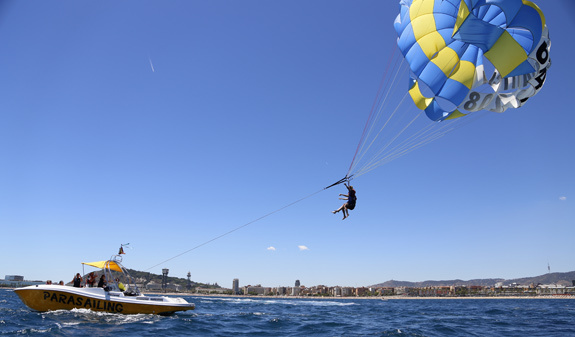 Enjoy incredible views of Barcelona 150 m above the sea. 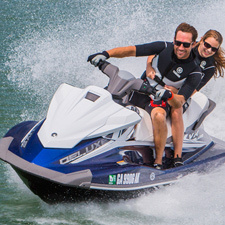 A powerful speedboat will pull you along as you enjoy an unforgettable experience gliding through the sky. 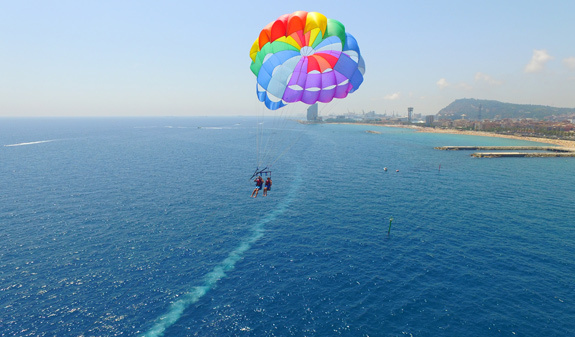 Four people can fly at once! (Weather conditions permitting). 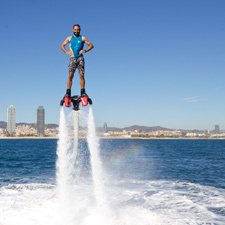 For an extra 20€ per person one or several friends can join you on the speedboat to see you take part in the activity (book in advance by phoning Corsa Nàutica). Times: Summer 10am-8pm; Winter 11am-5pm. Lenght of the tour: between 10 and 15 minutes. 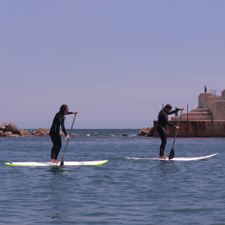 Meeting Point: Port Olímpic, marquee on the Moll de Marina, on the corner of Moll de Mestral. Metro: L4, Ciutadella Vila Olímpica stop. Bus: 41, 45 and 59. 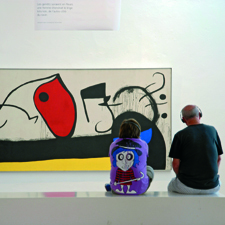 Minimum age 16 with parents' permission.